We’ve blogged about legal translation services for international pretrial discovery in cross-border litigation and about legal document translation for the eDiscovery stage of litigation. Today China is the United States’ number one trading partner, with more than $600 billion of goods and services traded annually as of 2017. Japan, South Korea, Taiwan, and a number of other countries in Asia, are also leading trading partners with the U.S. In short, Asia is a global trade powerhouse. Given the nature of business, and the volume of trade between U.S. and Asian businesses, it is inevitable that many U.S. businesses will find themselves in Asian courts, and Asian businesses will appear in U.S. courts. In fact, the ever-increasing globalization of the world has demanded that businesses conduct transactions, and litigate, in many different languages. Of course, that means that there is more and more demand for legal translation services throughout the international business world. One legal translation service that is professional, reliable, and can be a vital resource for your company is All Language Alliance, Inc. If you want to learn more about how we can help you, fill out the green Translate All Languages form on the right. In this blog, we will take a deep dive into the nuances of handling translation issues when confronted with laws in China and other APAC (Asian Pacific) countries. The legal principles established in Europe, North America, and South America have evolved over centuries. Although the laws of those regions certainly differ, they are based on common concepts. Indeed, like our laws, the languages of Europe and the Americas have roots back to the same ancient languages. Few of those commonalities, however, extend to Asian cultures. Asian concepts of personal privacy, antitrust, and data privacy are currently going through major changes. Li-Ming Wang, Executive Vice President and Vice Chairman of the University Council, Renmin University of China, touched upon this at a talk he gave at a 2017 International Data Protection and Privacy conference. He reminded that, until very recently, China was an agricultural society. Indeed, China was a culture based on small villages in which privacy did not exist; and a culture in which survival depended on interpersonal relationships, rather than on concepts of privacy. In that Confucius philosophy, secrets were only kept to protect the family reputation. One specific legal result of that sensibility is that the litigation process of discovery in Asia varies drastically compared to the United States’ concept of discovery. 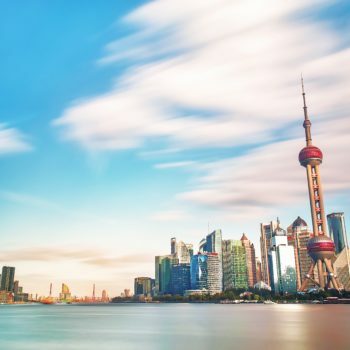 While litigators in the United States have a relatively open notion of what documents should be produced in discovery, businesses in China are beginning to understand the need to protect a company’s privacy. After China made privacy a legal concept in 2009, more than 20,000 cases quickly moved through the Chinese courts. As Li-Ming Wang spoke in 2017, he said that privacy law changes were being made “at this moment.” He also considered those privacy rights important for China. In addition, the years 2010 to 2014 averaged five new Asian privacy laws per year. By 2020, it is estimated that 50 new privacy laws will be added in a number of Asian countries. This decade will almost certainly see at least 140 new laws with still more to come. The new privacy laws being enacted in Asian countries pose a special problem for U.S. litigators in conducting discovery. If, for example, a U.S. company is in a dispute with a Chinese company, the U.S. litigators will most likely confront new Chinese blocking statutes that make obtaining discovery more difficult. In addition, the influx of new, often untested, privacy laws will add a further obstacle because a court may need to interpret the new law’s application to a discovery request, thereby slowing down the litigation considerably. Indeed, the newfound interest in privacy in Asian countries has swung the pendulum dramatically on the side of extreme protection of company documents. Thus, the U.S.’s rather open discovery rules, whereby discovery requests need only “lead to the discovery of admissible evidence,” stand in stark contrast to some Asian countries that permit no discovery without judicial approval. What Does This All Mean Regarding the Need for Legal Translators? As you would expect, the increase in international litigation, particularly with Asian businesses, means that your company needs a quality legal translation service to help you with discovery. Moreover, a legal translator does more than just translate words. It must translate in the context of the culture in order to avoid changing the legal meaning of a document. Further, when it comes to litigation and accuracy in legal documents, lifelong reputations and millions of dollars are be at stake. A legal translation service must not only be fluent in the relevant language, but it must account for culture and dialect to obtain accurate translations. A seasoned legal translator must be able to understand the nature of the document and understand any particular legal or technical terms, and then translate the document (or recording) accurately and in a way that will convey the correct message and intent to the reader from a different culture. All Language Alliance, Inc. is the reliable service you need to get accurate, professional translations for your discovery documents from any Asian language to English. We pride ourselves on getting it right the first time. Email us to day to obtain estimates for translations from Traditional Chinese, Japanese, Korean, Simplified Chinese, Vietnamese, and other Asian languages. Legal Translation from Asian Languages to English Read It!